Members of St Mary’s Youth Group had their first ever sleepover on the night of 10th June, led by Morag and Nick. Having started by arranging the church flowers (a first for all the young people), they were rewarded by a Chinese takeaway for dinner and then settled down to watch the film “Millions”. Themes of honesty, values and what the Saints were really like came out of the story of two young brothers who had discovered a large sum of stolen money and were torn between spending it on helping others or on themselves. 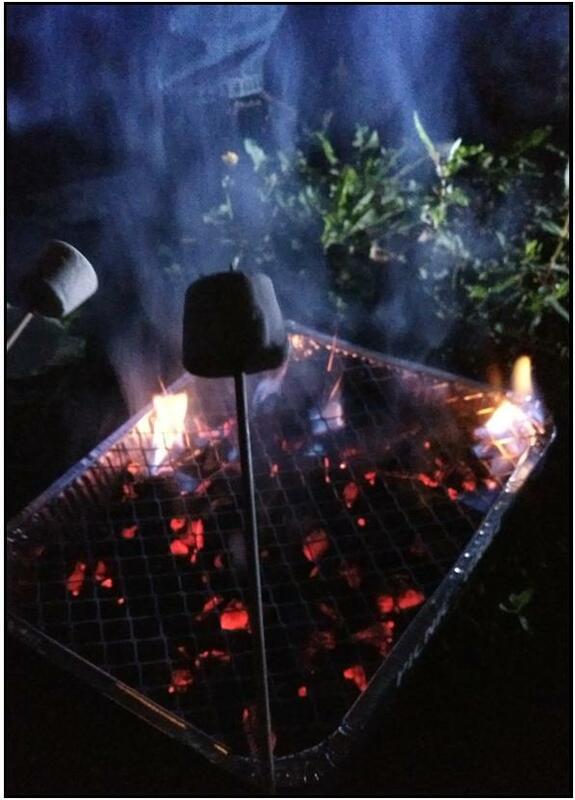 This led in to a reflective candlelit night prayer service in the church followed by midnight marshmallows toasted on a BBQ in the prayer garden. The lights in the hall finally went out around 2am after more fun, food and discussion. The morning sunlight streamed in the fire escape window around 5am, making it a short night for some! A relaxed breakfast and some further challenges to complete on the theme of values led the slightly sleepy group into the Sunday morning service. The sleepover was enjoyed by the young people and the leaders alike and will be repeated next year, if not before.